What Does Macchiato Mean? In Italian, "macchiato" means "spotted". You can think about a macchiato as an espresso beverage with a spot of steamed milk added to the espresso crema and floating on top of the coffee. If you're brewing espresso at home and want to create your own macchiato, be sure to use fresh espresso roast beans for great flavor and rich crema, or the spot of milk will just blend into the coffee. Many coffee drinks start with espresso and have milk or m﻿﻿ilk﻿﻿ foam added. The amount of steamed milk in your coffee will impact the creaminess and flavor of your coffee. If you enjoy a full flavor with just enough milk to take the edge off, try a macchiato! 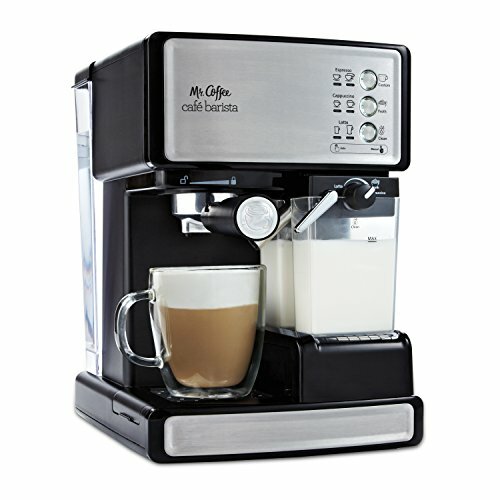 The difference between macchiato and latte relates to the amount of milk in relation to the amount of coffee per cup. While a latte contains about half espresso and half steamed milk with a crown of milk foam, your macchiato is nearly all espresso with just a dribble of steamed milk. Great macchiato starts with an excellent cup of espresso. Start with fresh beans and make sure your beans are properly roasted for espresso. Grind up a small batch for your macchiato and quickly get the coffee into your espresso machine so you get great crema. Once the espresso has brewed and is in the cup, steam the milk for a high froth. Cold milk with a high fat content will produce a dry foam more likely to float as a spot on top of your macchiato. What About Syrups And Other Additions? If you've got a desire for something sweet, you'll need a shot of syrup in your macchiato. A caramel macchiato is one of the more popular options. Torani has a classic caramel syrup you might be interested in. For fans of chocolate, the important thing to remember when deciding between macchiato vs mocha is that mochas are a yummy combination of espresso, hot chocolate and plenty of steamed milk. They can be a real treat, but that hot chocolate can impact your blood sugar and get in the way of the caffeine you were hoping to use! If you want a sweet treat, enjoy a mocha. They're delicious. Per coffee experts with Food Republic, another option to add a dash of sweetness to your coffee is to enjoy an espresso con panna, or espresso with whipped cream. If you're used to a standard cup of coffee brewed in a drip pot, developing a taste for espresso may take a while. Espresso is a delicious beverage, but it is dark and can be too hearty for some palates. The difference between macchiato and cappuccino can be a jolt to the taste buds as cappuccino is loaded with both steamed milk and milk foam for a creamy, slightly sweet beverage. However, if you enjoy an occasional cappuccino or latte and could use a stronger burst of flavor, you're probably ready for a macchiato. Whether you're a regular drip coffee drinker or someone who needs their daily espresso, a properly made cup of coffee is a gift.